Tracking food poisoning cases is laborious detective work, and sometimes the culprit is never revealed. Now the task of identifying sources of contamination could be even harder—and, paradoxically, it’s because of a test designed to diagnosis food poisoning faster and easier than ever before. The CDC and FDA issued a joint warning report today about a food-poisoning testing procedure called culture-independent diagnostic tests (CIDTs) that’s rapidly gaining popularity. Unlike traditional bacterial tests which take days, CIDTs can deliver that same diagnosis in hours. But that speed comes at a cost. One of the biggest challenges in sourcing food poisoning outbreaks has been the very timescale issue that CIDTs help to solve. When you have a bacteria with an incubation period of weeks, like E. coli, you can’t just go back into the kitchen to test for possible sources when someone gets sick. By then, the food has already been eaten and the counters already wiped down. Add to that the extra time needed to incubate bacteria for diagnostic tests, and the time lag between eating something bad and getting sick can be significant. If this test is newer, faster, and just as effective a diagnosis, what’s the problem? It’s no wonder, then, that the use of CIDTs has been on a steady rise in the last few years. It started picking up in 2012 and has been steadily climbing. Last year alone, the number of food-poisoning cases diagnosed just by CIDTs doubled. If this test is newer, faster, and just as effective a diagnosis, what’s the problem? Culturing the bacteria in food poisoning outbreaks may be more time-consuming, but it yields much more information, because such tests deliver a DNA profile of the bacteria. It yields information not just on the nature of the bacteria, but also it’s antibiotic resistance. 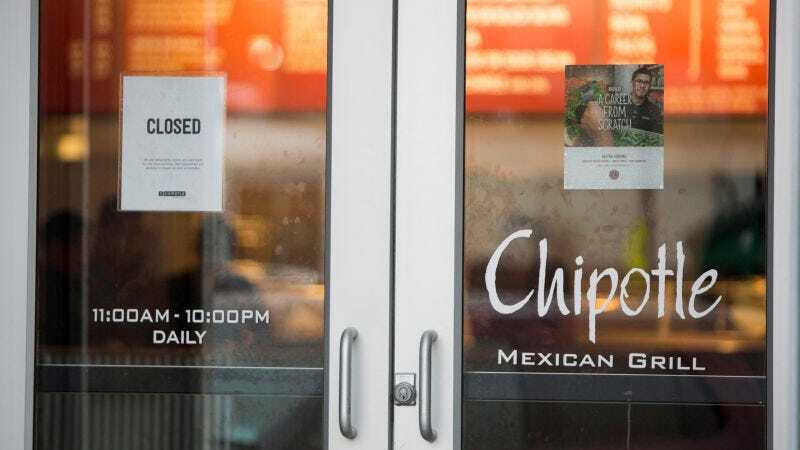 The CDC uses this data to figure out if different outbreaks may be linked linked: for instance, if an E. coli-laced burrito you get in California is part of the same outbreak that left E. coli in a tray of tacos in Minnesota. CIDTs may deliver a diagnosis in an outbreak—but the information used to track, and eventually stop, an outbreak is missing. In the long term, the CDC has talked about developing newer faster sequencing tests that would combine the speed of the CIDTs with the information of the traditional culture. Those are a ways off, though. In the meantime, the best solution probably lies with convincing labs to double up on tests and culturing bacteria even after a positive CIDT diagnosis. It may seem at first like an extraneous step, but when it comes to food poisoning, at least for now, there is no one perfect test.